Set the festive spirit in motion and join us in Lincolnshire this Christmas! Our special Christmas break gives you the opportunity to celebrate this festive time of year with fellow Solos guests. Celebrate Christmas with new friends! Join us at Belton Woods this Christmas for a festive celebration to remember. After arriving and settling into your room, we will gather together for a Solos welcome drink before joining other hotel guests for dinner. On Christmas day we can enjoy a traditional lunch while watching the Queen's speech, followed by a buffet supper in the evening. Our Boxing Day excursion takes us into the city of Lincoln for a guided tour of the cathedral before a relaxing final dinner at the hotel. 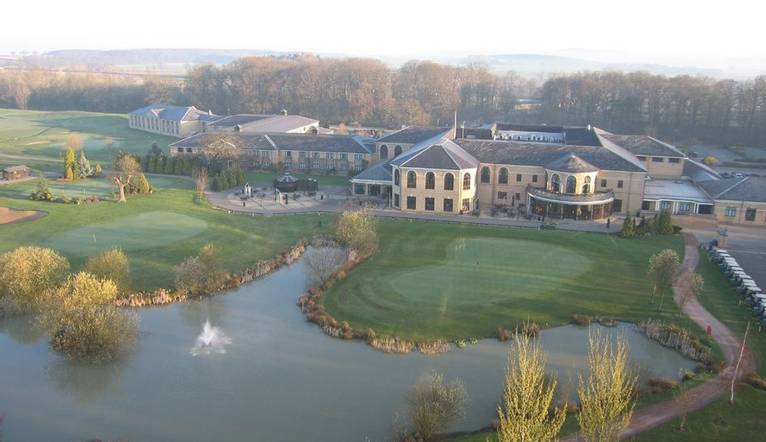 Our 4* hotel is surrounded by 475 acres of Lincolnshire landscape and offers the perfect place to relax and unwind. Facilities at our hotel include a brasserie restaurant, bar and gorgeous spa comprising of indoor swimming pool, sauna, steam room, gym and treatment rooms. There is also a PGA approved golf course and tennis courts for the more active! Rooms offer satellite TV, iron, tea/coffee-making facilities, Wi-Fi and hairdryer. Belton Woods is easy to find from the A1. Turn off at Gonerby Moor Services on the B1174 and follow the signs to Belton. Turn left onto the A607 - the hotel is ½ mile along on the left. Grantham station is 3 miles away. Complimentary car parking is available. The dress code for during the day is casual. In the evenings the dress code is smart with gentlemen requested to wear a shirt and tie. Comfortable shoes for walking and sightseeing are recommended. Further details for Christmas will be sent with your itinerary.